Do you want more out of story time??? 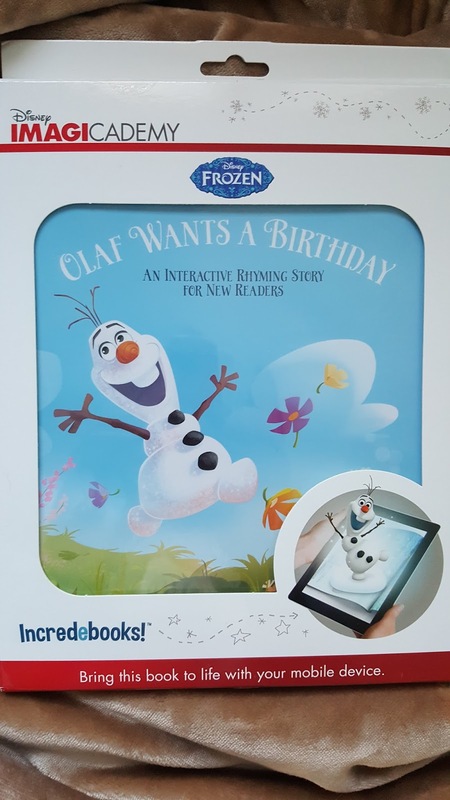 “Connected storybooks” are a fun new way to read traditional printed storybooks with your kids, then bring their favorite characters to life in 3D using your mobile device through the power of augmented reality technology!?F-U-N! Fuel your child’s love of learning with rhyme, rythm and language! Using their smartphone, children can scan specially marked pages to trigger an augmented reality experience – bringing the printed page to life in 3D and allowing them to interact with their favorite characters! And in Mickey and Donald’s Rhyme Time, which has arrived just in time for Mickey Mouse’s birthday on November 18, Mickey and his Clubhouse friends help Donald write a lovely poem for Daisy. Even the talented Toddles cannot provide the right rhyming words so Donald has to solve the problem himself through perseverance and hard work. Here’s a great video which shows you how it works! The Funny Fables book series is based on iconic children’s fables, including Little Red Riding Hood, Jack and the Beanstalk, Goldilocksand The Three Little Pigs. Featuring delightful and original illustrations with reimagined story lines for today’s young readers, Mercury Connects has transformed these timeless classics into fully immersive experiences. (SRP: $11.99, available at Target.comin specially priced 2-Packs). Plus, there’s a next-generation coloring and activity book for Mindy Candy’s Moshi Monsters. The Moshi Monsters: 3D coloring book series transforms the everyday coloring book into a fully customizable, augmented reality action game, bringing children’s creations to life in their world. (SRP: $9.99, available at target.com in specially priced 2-Packs). Holiday gift-giving season has never been this much fun with Incredebooks from Mercury Connects! Win It: One lucky reader will win the Olaf Wants A Birthday Incredebook!